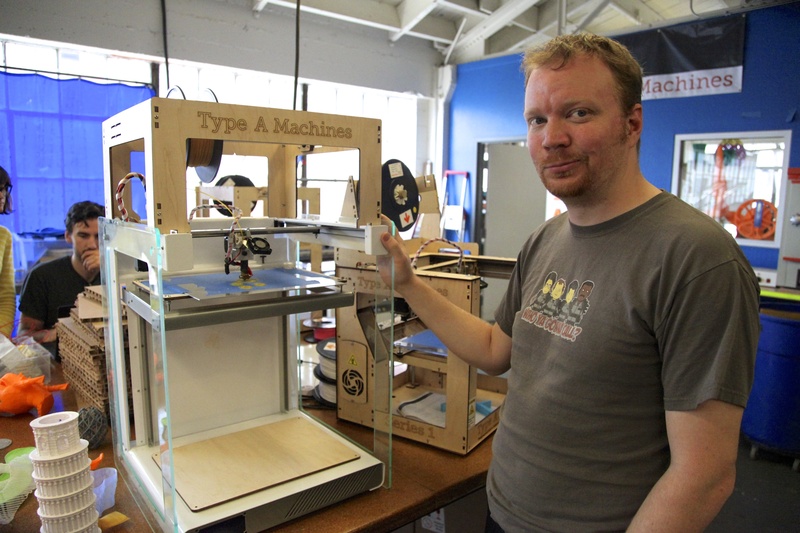 Type A Machines wants its printers to last — not just in form, but also in function. But at the crazy speed 3D printers are evolving, it’s a matter of months before a new printer becomes outdated. The Next Generation Series 1 printer Type A Machines revealed today is meant to combat that trend with modular parts that are easy to swap out for ones that take advantage of the latest innovations. To protect buyers’ ability to tinker with the printer, the team wrote a completely new product warranty that guarantees tech support, no matter what modifications have been made. “It is our hope that our practice will evolve into an industry standard,” Sivertsen said in a release. The printer builds on Type A Machines’ original printer, the Series 1, with a larger volume, which allows the user to print objects up to a foot across. The frame is also now made of aluminum and glass instead of wood. The printer is now available for pre-order, with a wait time of about 8 weeks. It costs $2,295. In the near future, Type A Machines plans to release another version of the printer called the Series 1 Pro. 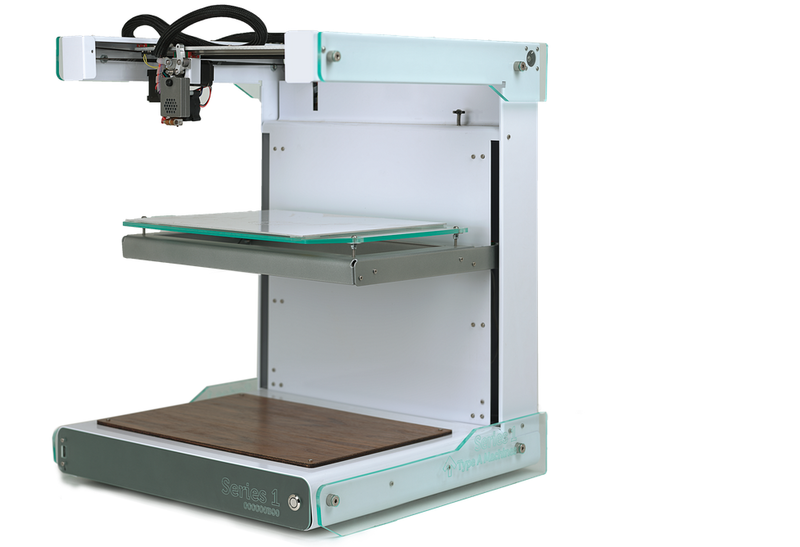 It will include Wi-Fi connectivity, a heated print bed and two print heads. Users who buy a Next Generation Series 1 printer will be able to add the upgraded features to their printer at a discounted price. I definitely want one of these. I even have a specific project in mind. However, after doing some research in my project, it became obvious that it might actually be cheaper to have the item I want to produce done for me in China. Not only would the startup costs be lower, the ongoing materials cost would be lower. It’s the ongoing materials cost that is the real show-stopper. At more than $4/lb for typical plastic filament, my widget would cost me about $1.50, and I can probably buy it for $0.80 (plus shipping, which is now conveniently heavily subsidized by the US taxpayer). So I could probably get nearly 3000 of them for the cost of this printer. Sigh. 3D printers are best for high-value, short-run production, not for mass production of relatively inexpensive items. As soon as I can come up with a suitable high-value, short-run item, I’ll buy one of these in a heartbeat. Or maybe the price of the materials will come down — I read somewhere that there is a company working on a recycled feedstock that will bring the cost down. However, you still have to deal with incompatible feed mechanisms — a problem which Type A appears to be addressing. 3D printing is *almost* ready for prime time. You’re right, but that’s the beauty of 3D printing! It’s not about replacing traditional manufacturing systems entirely, it’s about developing new systems and markets. 3D printing is best for items for which traditional tooling just doesn’t make sense–like if your end user (or yourself) wants customized items, or if you want to try short runs of products that vary. Think A/B testing with physical goods. What I like to do is try to think up products, services, and potential new markets that are enabled by low cost additive manufacturing technology. It’s much more fun than trying to fit existing products and business models into technology that, as you point out, just isn’t optimized for it!